When Film4 published a list of their “100 Must-See Films of the 21st Century” and only bothered to include two Chinese films (Yi yi and In the Mood for Love, of course), I countered with this list on letterboxd of 100 Must-See Chinese Language Films of the 21st Century. Almost two years have passed since then, and I’ve been wanting to update that list, since honestly I was kind of stretching the limits of what I’d recommend when I got into the nineties. Well, yesterday came The Playlist’s list of The 50 Best Foreign Language Films of the 21st Century. Five of the films on their list are Chinese Language (the same obvious Edward Yang and Wong Kar-wai picks, along with Hou Hsiao-hsien’s Millennium Mambo, Tsai Ming-liang’s What Time is It There? and Ang Lee’s Crouching Tiger, Hidden Dragon. That’s right: no Johnnie To. ), and while they’re somewhat hampered by their self-imposed one-film-per-director rules, that, to me, is still an unacceptably low number for what has been and continues to be the most vibrant and fascinating film culture in the world. And today, Richard Brody’s response in the New Yorker, while an improvement in making room for Jia Zhangke and Wang Bing (and Korean director Hong Sangsoo), still has only seven Chinese titles. So here are my 50 Best Chinese Language Films of the 21st Century. I’m limited in making this list by the movies I’ve seen, and there are still many, many Chinese films I haven’t watched yet. 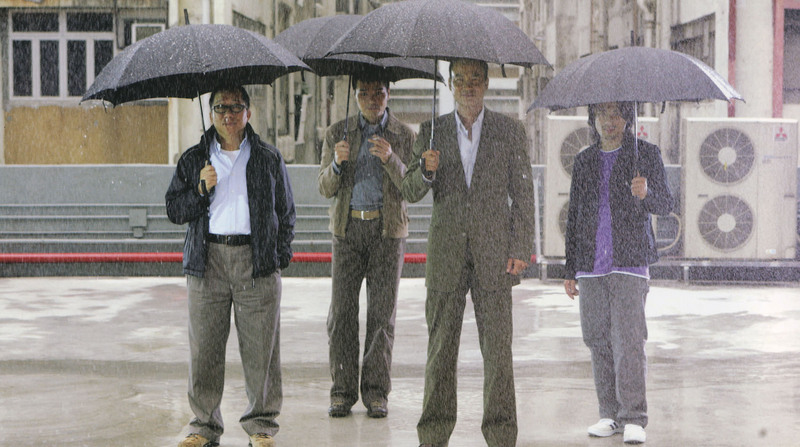 I’m also sticking with The Playlist’s rule and limiting myself to one film per director (in the case of collaborations, I’m counting them as separate directors: Johnnie To and Wai Ka-fai together is a different director from either Johnnie To or Wai Ka-fai individually. This is arbitrary of course). The movies are ranked in order of my current preference, with links to where I’ve written about or discussed them, along with, in some cases, no more than five other recommended films by the director. Also: The fact that I haven’t seen more Wang Bing movies is one of my great failures as a cinephile. And here are some titles I feel bad about leaving out: Distant (Yang Zhengfan, 2013), Trap Street (Vivian Qu, 2013), After This, Our Exile (Patrick Tam, 2006), Fearless, (Ronny Yu, 2006), My Beloved Bodyguard (Sammo Hung, 2016), So Young (Zhao Wei, 2013), The Equation of Love and Death (Cao Baoping, 2008), Kung Fu Jungle (Teddy Chan, 2015), Chongqing Hot Pot (Yang Qing, 2016), and Zhou Yu’s Train (Sun Zhou, 2002). Even better would have been a list that took in all of Asian cinema, since it’s not just Chinese cinema that gets ignore. BBC Culture’s recent top 100 left off a great many Asian films, including J-Horror classics Kairo/Pulse, Ju-On and The Ring; the Korean sci-fi allegory Snowpiercer, the Korean horror films Thirst and The Host; the Hong Kong film Infernal Affairs, etc. Oh for sure all of those cinemas deserve more coverage. I’m reasonably comfortable making a list like this for Chinese language film, but I simply haven’t seen enough from those other countries to really advocate beyond the big names.